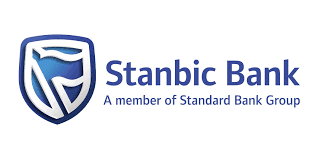 Stanbic IBTC Bank Job Vacancies 2019 is Out Online | Apply Now. Legal: guidance across all areas and geographies to ensure: every transaction is appropriately negotiated, documented and implemented, losses arising from litigation are minimised, and legal issues carrying negative reputational consequences are avoided. To work directly with the Company Secretary to fulfil his role. In addition to this, the incumbent is expected to ensure that the Company adopts the highest standards of corporate governance; that each subsidiary company board is properly constituted, functioning properly and recording its activities. Ensure that each board and all board committees function in terms of their mandates. Monitor all board papers and minutes. Maintain record of important agenda items such as dividends, changes in capital, appointment and resignation of directors, opening / closing points of representation, and special resolutions. Follow up and make sure that all necessary governance processes are complied with in respect of the appointment and resignation of directors. Provide induction and training to non-executive directors on their duties and responsibilities when serving on the board of the Company, in line with International Best Practice. Ensure all mandates and policies with relation to Corporate Governance are in place, updated regularly and reviewed annually. Where necessary obtain group approval. Ensure that annual reports are prepared and contain commentary on corporate governance, risk management; social and environmental issues and that they include reports by managing director and board chairman. Research on corporate governance-related trends. Maintain a register of correspondence from Regulator and other stakeholders; monitoring and follow up to ensure that all requirements are met / complied with. Act as Secretary to the Board and Board Committees as may be assigned to me by the Group Company Secretary. Assist with the preparation of Section 52 and 55 Applications for submission to Registrar of Banks covering the formation of any new subsidiary companies and ensure that correct governance processes are followed and all necessary board and regulatory approvals are received and recorded. Once approved follow up and ensure compliance of all conditions of sanction. Maintain record of, and update information regarding capital; shareholders etc. ; and ensure that copies of regulatory documents are held such as Memorandum and Articles of Association; Certificates of Incorporation; Certificates of Increase in Share Capital; Particulars of Directors; and Annual Returns etc. Attend to other specific projects as requested by the Company Secretary. Ad-hoc projects are completed as per project deliverables. 4 – 8 years in a banking or company secretarial environment. Computer literate (MS suite of products). A good knowledge of The Companies and Allied Matters Act; Banking Regulations; Securities and Exchange Commission Regulations; and any other relevant guidelines and regulations. A clear understanding of Corporate Governance with particular reference to the responsibilities and duties of directors. Must be able to transfer knowledge through in country training workshops. Able to communicate both verbally and in writing. Good writing skills essential for minute taking. The incumbent will be required to adapt process and standards within a dynamic environment. The job requires significant attention to detail. Decisions made are based on a consultative approach with executive management, however it is expected that solutions are recommended prior to consultation. Governance: specialist advice about, and oversight of, the processes, laws and regulations governing our business, predominantly for directors, chief executives and executive committees. Proper functioning of boards and their committees within their mandates. Committee secretarial services for executive committees are efficient and effective, and comply with the requirements of policy and standards. All reporting requirements are handled timeously and are of a high standard. Significant matters are brought to the attention of the Group Company Secretary; and Ad-hoc projects are completed as per project deliverables. Group Secretarial Services and company secretaries. Chairmen and Non-Executive Directors of Boards of the Holding Company and subsidiaries. Bachelor’s in Law required or relevant tertiary qualification with a comprehensive understanding of principles of corporate governance practices and conduct. And the incumbent will be required to adapt process and standards within a dynamic environment.